I recently came across the most outrageous study while watching documentaries on Youtube; Scientists were trying to discover the human nature of kindness – by using hot sauce. In the study, known as the ​ ‘Hot Sauce Paradigm’ 2 participants sit across from one another, separated by a one way mirror. The first participant is asked to add hot sauce to a dish that will be served to the second participant. He has a choice of 3 hot sauces, Mild, Medium and Deathly Hot. In the second part of the experiment, right before the experiment begins, one participant is secretly instructed to mistreat the other, in this case it involves aggressively bumping into the other and yelling at them. Now we’re working with an angry individual. 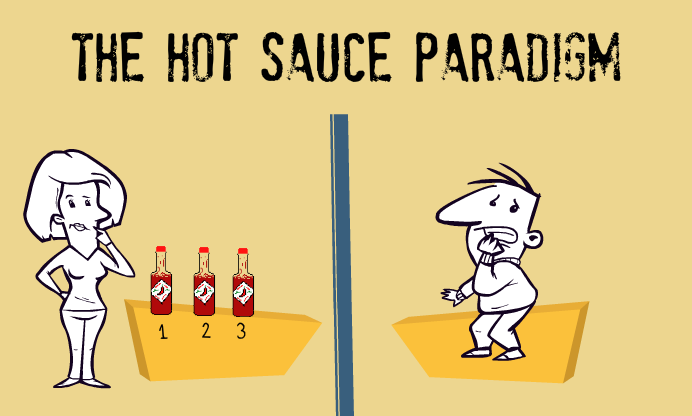 In this scenario, ​ when the participant chooses the hot sauce, the’DEATH sauce’ is almost always the winner. But what if the anger could be stopped mid-way?​ What if aggression could be stopped in its tracks and turned into kindness or happiness? It can. 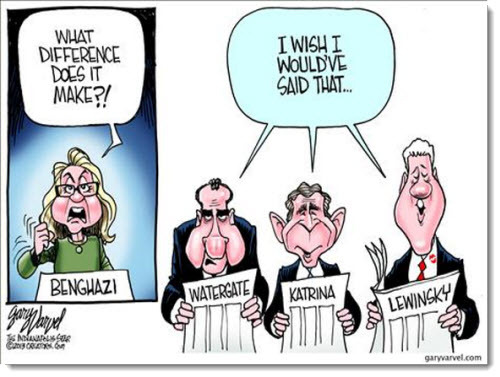 It’s called a pattern Interrupt and this is exactly how cartoons work, but more on that in a moment…. The participant is once again mistreated (bumped into and yelled at) but this time, right before s/he is about to choose the hot sauce, the lab scientist interrupts – and pours the participant a glass of water, compliments the participant and asks how his day is going, then he leaves. The angry participant has been temporarily interrupted from his/her ​ ‘angry world,’ and this results in him/her choosing the’kinder’ Mild or Medium sauce. Do you understand how powerful this is… anger was disrupted and transformed into kindness by the actions of the lab scientist.​ This in turn transferred into more kindness on the part of the participant. A domino effect leaving everyone happy in its path. Which brings us to​ Fact #1 happiness is Contagious. And it doesn’t matter if you are teaching a geography lesson or marketing plumbing equipment, cartoons make everyone happier. They draw people into their world faster than text and more effectively than real life pictures. Just take a look at company mascots and logos, over 80% of fortune 500 companies have a designed image representing their brand. So, Cartoons make us feel happy, but why? We all remember the Pink Panther, ​ Garfield or Ninja Turtles; We grew up with these guys, watched them in awe, laughed… and sub-consciously our brain wired itself to associate cartoons with the innocence and happiness of youth. Advertisers know this. So do Marketers, teachers, and designers. They are pitching to an audience who has already been primed. When you watch an animated character deliver a message in an ad, marketing campaign or video, you actually trust it more than an actor saying the same thing. Think about it, usually play on people’s weaknesses, emphasizing what they lack and touching on feelings of inadequacy. Cartoons do the opposite, they take you away from the stress.​ “Pattern Interrupt,” gives you a moment to breathe. 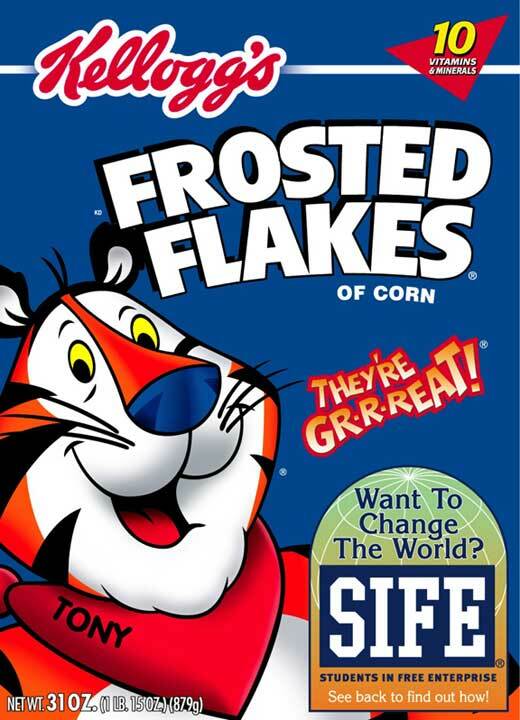 This is one of the main reasons Fortune 500 companies like Starbucks and Cicsco use Powtoon characters! So cartoons are effective in communication, but how do they actually diffuse tension and make people happier. Sometimes you trust cartoons more than your own mom. In a recent study from the Neonatal Intensive Care Unit at ​ Le Scatte Clinic of the University of Siena, Dr. Carlo Bellieni and colleagues took blood samples from children, ages 7 to 12. One group was given no distraction during the procedure, the second group was distracted by their mothers, who talked to them and held them. The third group of children was allowed to watch a TV cartoon during the procedure. The happiest and most relaxed children were part of the group that watched cartoons, even more so than children being hugged by their mom! Cartoons are particularly good when introducing a new topic in class or presenting at a company meeting. It can be stressful for a student who is about to study calculus or for an employee who was called to a staff meeting. Introductions or presentations with cartoons lighten the mood and subconsciously ease fears or insecurity. They allow the audience to warm up to you and open a line of communication between speaker and audience. Then you have the opportunity to transition into more serious issues. 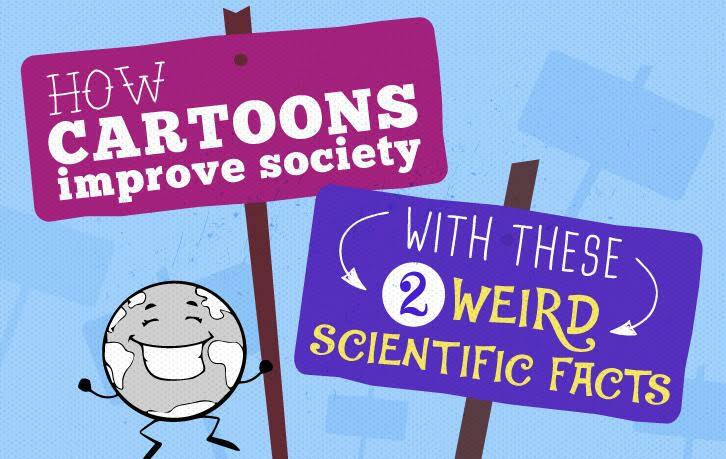 Fact #2: Cartoons disrupt you and make you happier. And who doesn’t appreciate a break like that! 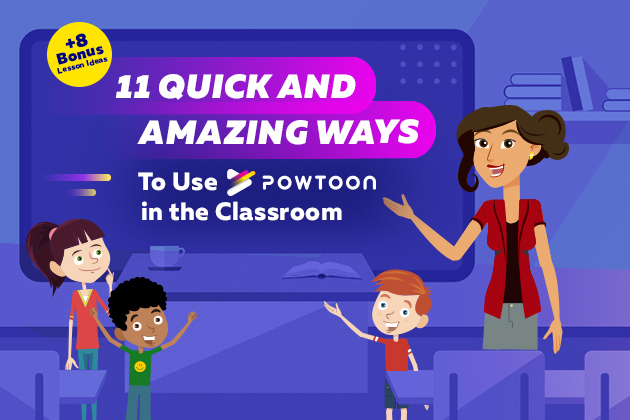 Check this teacher introduction template by Powtoon, for teachers who want to start off the year like a rockstar! 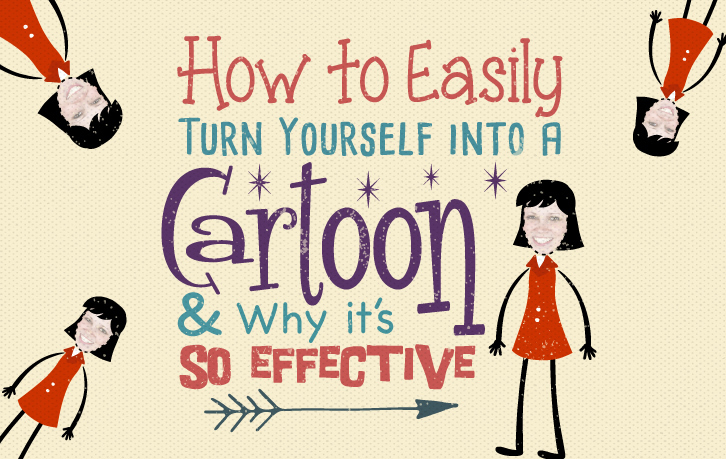 How have you used cartoons and messages to convey a message to your audience?